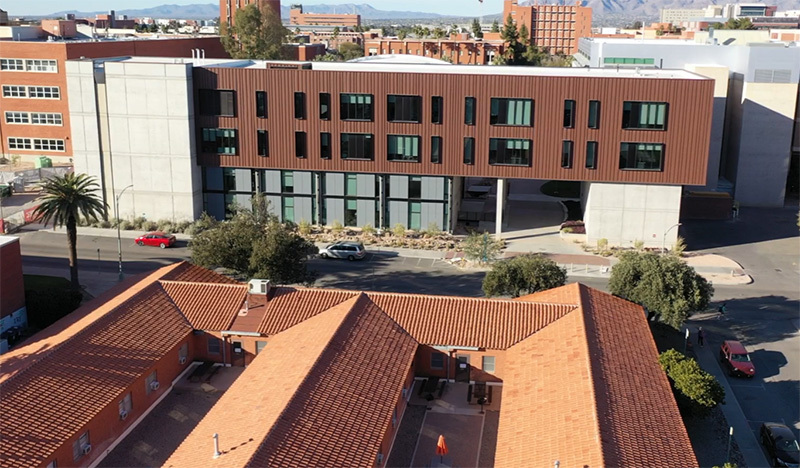 The new Student Success District will integrate and revitalize student services in four adjacent central campus buildings: Main Library, Weaver Science-Engineering Library, Bear Down Gym, and a new Student Services Building. The project will also include site development improvements. Construction is underway on site utilities, the Main Library and the Weaver Science-Engineering Library. Design phase is in process for the Student Success Building, Bear Down Gym and site development.